I was quite pleased with the 2011 white Burgundies I tasted in late June and early July. The wines are generally open, accessible and delicious right now, making this a great vintage to enjoy while the 2010s rest in bottle. 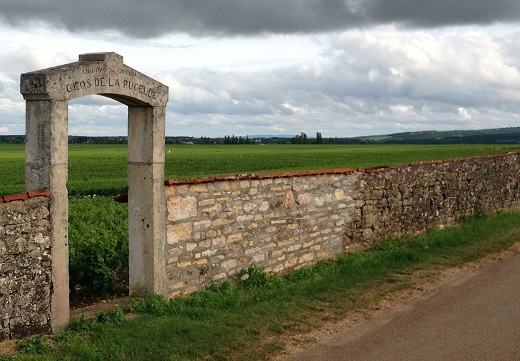 Puligny is the clear overachiever, as it is the village in which vineyard signatures are most clearly marked. The 2011s are the product of a year that can only be described as freakish. Flowering was a full month ahead of schedule because of an unseasonably warm and dry spring and early summer. Otherwise, though, there were no real problems during this critical period with the exception of a few highly localized hailstorms. Warm conditions persisted well into June and early July. I was in Chablis and in Beaune at the time and growers were quite worried as they contemplated a mid-August harvest, something that had never been seen before. But Mother Nature has a way of taking care of things. Late July and early August saw cooler than normal temperatures and quite a bit of rain, both of which slowed down the pace of ripening. The 2011 whites were harvested beginning in late August. A general rule of thumb is that vineyards need 100 days between flowering and harvest to achieve full alcoholic and phenolic maturity. The plants got that, and more in some cases in 2011. As an example, in the torrid, scorching 2003 the days from flowering to harvest were 90 days or even less. Yields are all over the place, and range from the high side of normal to normal to -30-40% where hail was an issue. As a group, the 2011s are attractive whites that will drink well upon release. When I tasted the 2011s from barrel last summer they were very raw. At the time, growers were quite candid about the year and many of them told me they planned to give the 2011s more time on the lees to fatten them up as the wines broadly lacked structure. What a difference a year makes. While the 2010s had a lot of everything (sugars, acidity, structure) it can be said that as a rule the 2011s have less of everything, but in proportion, which is why the wines generally have terrific balance. The style of the year is open and resonant, but the wines have less volume and ripeness than the 2009s. 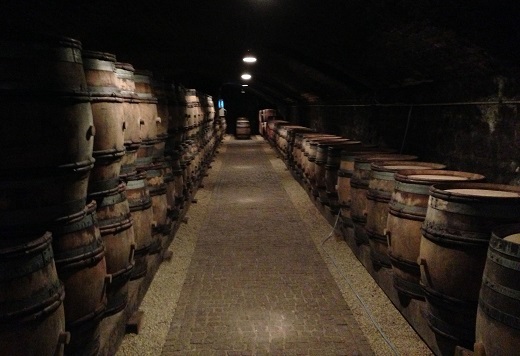 In some ways, 2011 can be viewed as taking elements from both 2009 and 2010, with less voluptuousness than 2009 and less of the intense, mineral-inflected, terroir-driven style of 2010. I found many of the most beautiful, expressive wines in this report in Puligny, where the best whites have tons of site-specific signatures, although even in Puligny the vintage makes itself felt in the early approachability of the wines. On the other hand, Chassagne struck me as the most challenged of the villages in the Côte de Beaune. I encountered quite a few wines with signs of dilution and otherwise lacking in structure, complexity and pedigree. Unlike Chablis, though, I did not see signs of under ripeness or greenness in the 2011 Côte de Beaune whites I tasted, which puts the vintage for the Côte de Beaune a notch or two higher than in Chablis, where the wines are also less consistent across the board. As I mentioned in my recent report on Chablis, I expect we will see a shortage of top-notch white Burgundy in the next few years. The popularity of the wines has never been higher, but it comes at a time when Mother Nature has been cruel with regards to yields, especially in 2012 and 2013. From a practical perspective, my advice is to purchase the 2011s for near and medium-term drinking and hold the 2010s dear for the future. Conditions were damp and unseasonably cool during the two weeks I spent in Burgundy in late June and early July. Among other things, the poor weather had the effect of delaying important work in the vineyards. Disease pressure was high. As most people know by now, several hailstorms hit various parts of Burgundy later in the summer, virtually decimating the crop in some spots. It is far too soon to have any idea of quality, but once again Burgundy’s growers have been dealt a very tough hand. Here’s to hoping the wines themselves exceed the attributes of the year on paper. Most of the wines in this article were tasted in late June/early July 2013. A few producers I cover regularly, Domaine Leflaive and Arnaud Ente in particular, preferred to show their bottled wines this fall rather than during the summer, so I will report on those collections as soon as I have an opportunity to taste them.